Turin: Juventus coach Massimiliano Allegri insists he has "no problem" with Gonzalo Higuain despite uncertainty over whether the Argentina striker will play in Wednesday's Champions League match against Greek side Olympiakos. Higuain was dropped for Juventus's 4-0 Serie A win over Torino last weekend after scoring just twice in the first five games of the season. 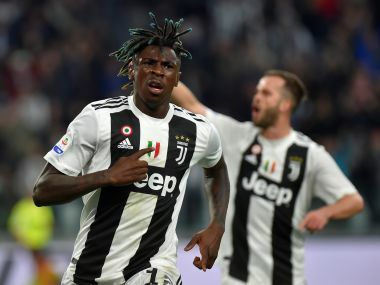 But Allegri said that if the 29-year-old does not play, it is not because he is dissatisfied with the forward's performances. 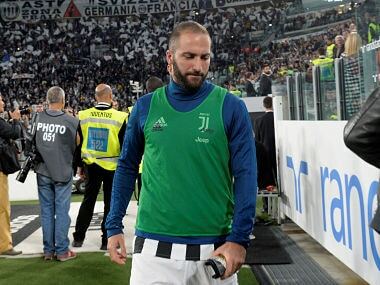 "I will decide after training tomorrow (Wednesday) whether or not to play Gonzalo, it is not a problem if he doesn't play, it would be a problem if he didn't play for Juventus," Allegri told a news conference. 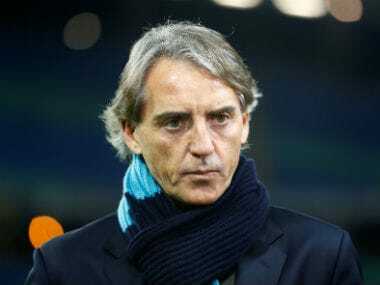 "I have not decided yet who will be the four strikers, but I repeat that Higuain is not a problem." 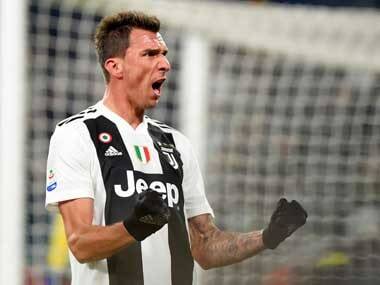 "It happens that one of Higuain, (Paulo) Dybala or (Mario) Mandzukic could be out for a game or two. Fortunately we're playing every three days, which means we're in the Champions League, the league and the Coppa Italia, but I certainly don't see a problem with Higuain." "Gonzalo is calm. I talked to him. He needs to remain serene and think of being himself, nothing more and nothing less." Juventus lost their opener 3-0 to Barcelona, while the Greek outfit lost at home to Sporting Lisbon, and are playing with a new coach. But Allegri warned, "We cannot possibly underestimate this match, as it's the Champions League and every opponent is tough." "Olympiakos are a fast-paced side that can hurt us with their forwards and we have only one result at our disposal. If we don't win, then our qualification becomes complicated." Allegri confirmed that midfielders Miralem Pjanic and Blaise Matuidi would start, with Claudio Marchisio and Sami Khedira not yet fit. A late decision will be made on whether defender Andrea Barzagli will play alongside Giorgio Chiellini in the centre or on the right. Barzagli, 36, joked he did not mind where he played, even up front, as Juventus look to learn from their mistakes this season. "We know how much we care about this tournament, the Champions League is the ultimate for any footballer," he said. "Clearly we've realised over the past few years how you need to play in the Champions League. We've learnt from our mistakes -- losing two finals is tough, but we've learned from them. "The Champions League is made of periods, of fortune, of how you are in the knockout rounds." "It's complicated to win it and you have to be strong, but then you need a lot of things to come together too."